This is a story from the Fall of the House of Usher collection. 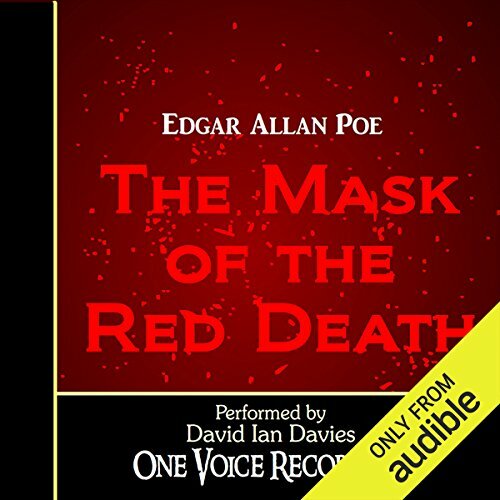 The horrors of the Spanish Inquisition, with its dungeon of death, and the overhanging gloom on the House of Usher demonstrate unforgettably the unique imagination of Edgar Allan Poe. Unerringly, he touches upon some of our greatest nightmares: Premature burial, ghostly transformation, words from beyond the grave. Written in the 1840s, they have retained their power to shock and frighten even now. “I was sick, sick unto death with that long agony,” begins one of the most famous tales from the master of the macabre, Edgar Allan Poe. Through the tortures of the Spanish Inquisition, we follow the straying mind of the unnamed prisoner in his quest for hope in a world of darkness and despair. This episode skyrocketed The Classic Tales Podcast to number 3 on iTunes’ Top 100 Podcasts chart. The bloody-minded Montresor leads the pompous Fortunato deep into the catacombs, seeking the famed Amontillado wine. 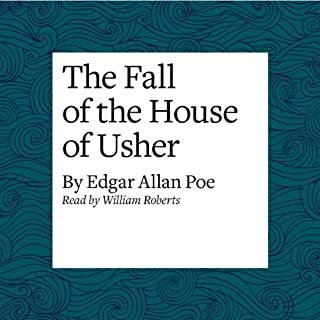 Here we have one of Poe’s most terrifying, and most “beloved” tales. Revenge and pomposity commingle beneath the river’s bed, leading to a delightfully sinister conclusion. It was the eye. The dull, sightless, vulture's eye that shredded his final nerve. But the murder was done so carefully, so perfectly, that only one thing could reveal the whereabouts of the body. B. J. Harrison gives a masterful reading of the famous murder that wouldn't keep quiet. 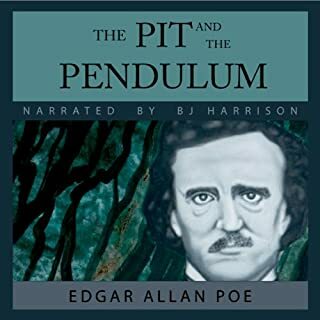 This audiobook was the #3 best-selling audiobook in 2008 at the iTunes Music Store! This is a story from the Chilling Ghost Stories collection. 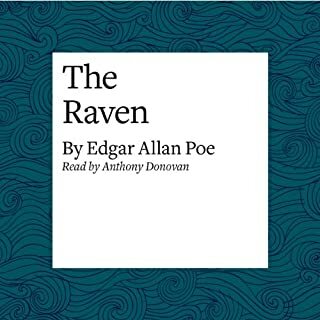 The Raven, by Edgar Allan Poe, tells of a talking raven's mysterious visit to a distraught lover, tracing the man's slow fall into madness. First published in January 1845, the poem is often noted for its musicality, stylized language, and supernatural atmosphere. 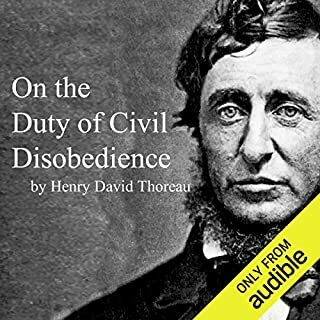 This essay by Thoreau first published in 1849, argues that individuals should not permit governments to overrule their consciences. It goes on to say that individuals have a duty to avoid allowing the government to make them the agents of injustice. The quote: "That government is best which governs least," sometimes attributed to Thomas Jefferson or Thomas Paine, actually was first found in this essay. Thoreaus' thoughts were motivated by his disgust with slavery and the Mexican-American War but they are still relevant and resonate today. This is a story from the Murders in the Rue Morgue (The Dupin Stories) collection. Auguste Dupin, investigator extraordinaire, was the remarkable creation of Edgar Allan Poe. Written in the 1840s, Poe presented the acutely observant, shrewd but idiosyncratic character who, with his chronicler, provided the inspiration for the more famous Sherlock Holmes and Dr. Watson. The Legend of Sleepy Hollow is the most famous supernatural wild chase in all of literature. One of the best known American short stories, this tale has been produced countless times for television and film. A halloween classic! The Minister's Black Veil was first published in the 1836 edition of The Token and Atlantic Souvenir. It later appeared in Twice-Told Tales, a collection of short stories by Hawthorne published in 1837. Hawthorne's inspiration for this story may have been a true event. A clergyman named Joseph Moody of York, Maine, nicknamed "Handkerchief Moody", accidentally killed a friend when he was a young man and wore a black veil from the man's funeral until his own death. This historical romance, perhaps the greatest cloak-and-sword story ever, relates the adventures of four fictional swashbuckling heroes who served the French kings Louis XIII and Louis XIV. When the dashing young D'Artagnon arrives in Paris from Gascony, he becomes embroiled in three duels with the Three Musketeers: Athos, Porthos, and Aramis. But when he proves himself by fighting not against, but with, the Three Musketeers, they form a quick and lasting friendship. More fun than a classic is supposed to be! The science fiction classic that coined the term "time machine" and is generally credited with the popularization of the concept of time travel. A must listen for any fan of science fiction! When Sergeant Major Morris brings a mummified monkey’s paw to the White family, they embrace it as a morbid curiosity. When they learn that an old Fakir has enchanted the paw, they continue to treat the thing lightly. But the workings of the paw, once set in motion, cannot be undone, no matter what they try. In the pantheon of serial killers, Belle Gunness stands alone. She was the rarest of female psychopaths, a woman who engaged in wholesale slaughter, partly out of greed but mostly for the sheer joy of it. Between 1902 and 1908, she lured a succession of unsuspecting victims to her Indiana “murder farm.” Hell’s Princess is a riveting account of one of the most sensational killing sprees in the annals of American crime: the shocking series of murders committed by the woman who came to be known as Lady Bluebeard. Southern food is integral to the American culinary tradition, yet the question of who "owns" it is one of the most provocative touchpoints in our ongoing struggles over race. In this unique memoir, culinary historian Michael W. Twitty takes listeners to the white-hot center of this fight, tracing the roots of his own family and the charged politics surrounding the origins of soul food, barbecue, and all Southern cuisine. All of Edgar Allan Poe’s great short stories in one 16-hour collection. One of the most important novels in classic literature, Nathaniel Hawthorne's The Scarlet Letter tackles the subject of adultery, with the notorious Hester Prynne at the forefront of the scandal in the Massachusetts Bay Colony. In the beginning of the novel, Hester is serving time in prison for having a child out of wedlock and is forced to wear a scarlet A on her clothing at all times, so she cannot run from her sin no matter where she goes. Prince Prospero invites several dozen of the local nobility to his castle for protection against an oncoming plague, the Red Death. Prospero orders his guests to attend a masked ball and, amidst a general atmosphere of debauchery and depravity, notices the entry of a mysterious hooded stranger dressed all in red. The editing was frustratingly choppy, and the reader must have had strep throat or something. His rasp sounds painful.